There are two primary considerations that underlie the choice of instruments used in accompanying congregational singing: theological and practical. The focus of this discussion will be the latter of the two. Also assumed in this discussion is that congregational singing should be participatory for the entire congregation. With these parameters alone, we can make better choices about how the song of the congregation can be supported by two guiding principles. Those accompanying congregational singing should think of themselves as accompanists and not soloists. It is of great benefit having highly skilled musicians accompany congregational singing, however their role must be clearly communicated to them. The communal singing of the congregation is the goal, the musicians support that goal by the way they perform on their instruments. Two indicators exist to measure their understanding of this principle. The first such indicator is the volume of the accompanying instruments. An appropriate volume is one that supports the singing, but does not cover the singing of the congregation. Louder accompaniment does not produce louder congregational singing; it rather has the opposite effect. Louder accompaniment isolates individuals from hearing the voices of other around them, and thereby reduces their participation as a corporate body. The second indicator is what the instrumentalist desires to hear. Often in a praise band setting one hears specific instrumentalists ask to hear more of themselves. The advent of amplification for orchestral instruments has brought about the same desire among even orchestral players accompanying worship. What seems even worse is giving each accompanist individual in-ear monitors so they can block out the sound of the congregation and focus on what they specifically want to hear. Besides a misunderstanding of playing in an ensemble, this reflects a misunderstanding of their role as accompanists. Some instruments and instrumentalists are inappropriate to support congregational singing. 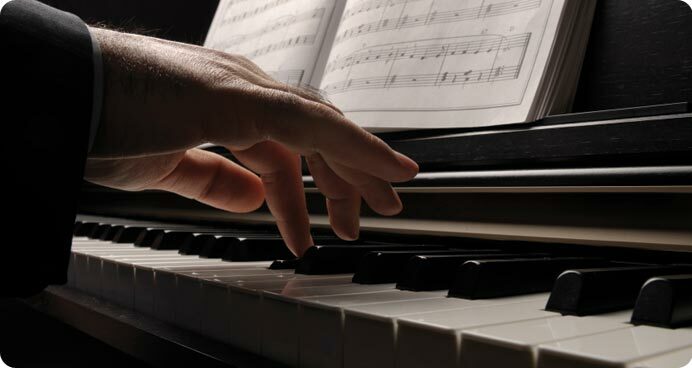 To support congregational singing, instruments should give correct pitches. It is easier to sing without accompaniment than to sing accompanied by an instrumentalist that repeatedly plays incorrect pitches. It is difficult to sing when an instrument is out of tune. This is the primary reason all instruments must be tuned together and not individuals tuning their own instrument outside the context of the ensemble. Again this is a tenet of ensemble playing that often escapes ensembles accompanying worship. In addition to ineffective accompanists and out of tune instruments, instruments built on the principle of distortion have no place accompanying congregational singing. This can include many electronic instruments, although the usage of distortion is frequently manifest in the electric guitar. If a pitch is distorted, it is difficult to sing that pitch. There are excellent theological arguments for how-to and how-not-to accompany worship, which must be considered within the context of a church’s particular understanding of Scripture; however, these practical considerations hold true regardless of worship style or instrumentation. We must not lose focus of what it means to participate in singing with other believers, and we must communicate that fundamental understanding to those that aid our congregational song by accompanying that song. Robert Pendergraft is Minister of Music at Woods Chapel Baptist Church in Arlington, TX, and a Ph.D. student in Music Ministry at Southwestern Baptist Theological Seminary in Fort Worth, TX. He holds Bachelor and Master degrees in Music Education from Samford University in Birmingham, AL. He has served churches in Alabama and Texas as Minister of Music for the past 8 years.